The characteristic of these strings is to have a tension very similar to strings made of gut even if their core is made with steel. This was Maestro Cella Luigi's idea when he decided to begin the production of violin strings. In order to obtain that, Maestro Cella found a formula, for the steel, with a high percentage of carbon. Still now after more than 50 years we follow the same productive process, we use the same materials and the same formulas. 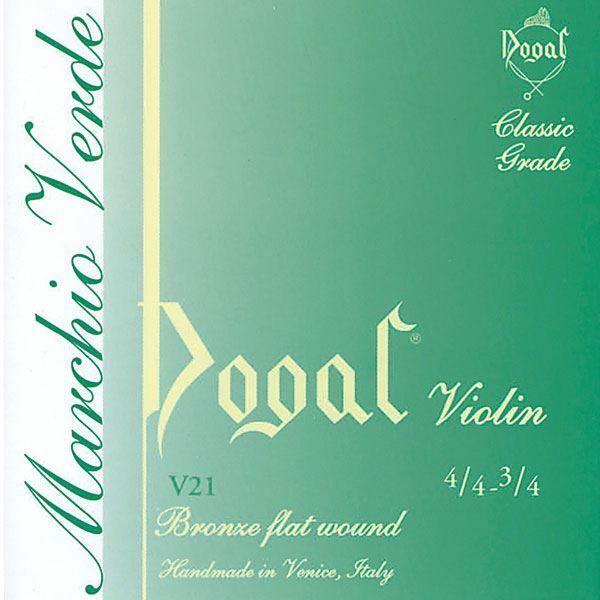 Marchio verde (green tag): these strings are realised with a brass alloy. They are strings with warm sounds, particularly suitable for beginners.Tolerances not higher than 2/100th of mm along the entire length of the string assure perfect fifths.